Raise your expectations of versatile handsome style and easy wearing comfort with the SKECHERS Relaxed Fit®: Status - Rolano shoe. 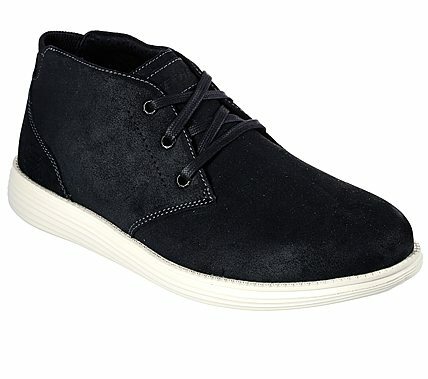 Soft smooth oiled-finish suede upper in a lace up casual comfort plain toe mid top oxford with stitching accents. Air Cooled Memory Foam insole.